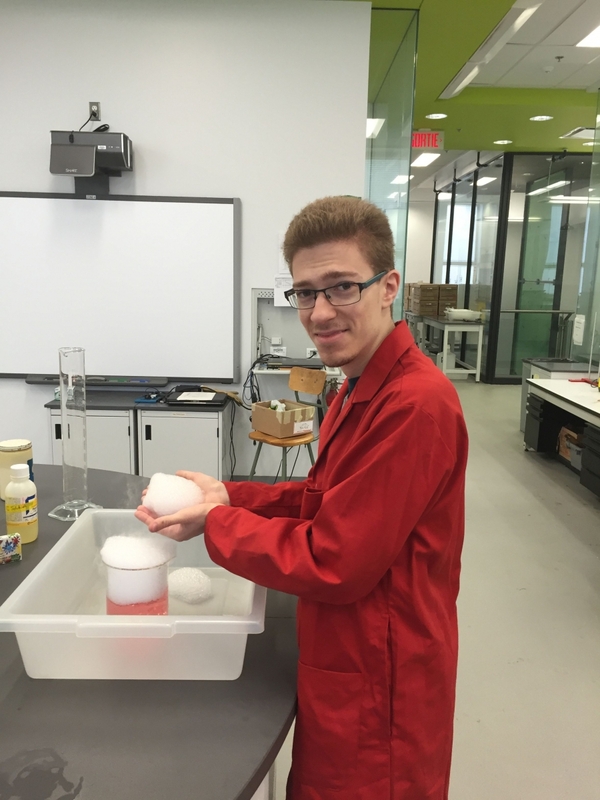 Congratulations to Justin Chang (Auclair group), Pierre-Olivier Ferko (Moores group - Photo), Samantha Gateman (Mauzeroll group), Igor Huskic (Friscic group), Victoria Jackiewicz (Arndsten group) and Siting Ni (Lennox group) for winning the first McGill University Chemistry Outreach Awards. From helping to found the Outreach group to getting students of all ages excited about Chemistry, these trainees have worked hard to communicate science to the general public in a fun, safe and engaging way. We thank all of them for their dedication and creativity, and we invite you to see them in action on October 30th at McGill’s Open House and Homecoming weekend.